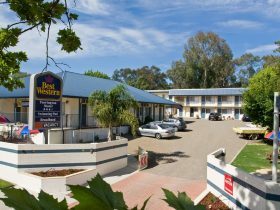 The Tumut Valley Motel is ideally located on the Snowy Mountains Highway, less than 1.5 kilometres past the centre of Tumut heading towards Cooma. 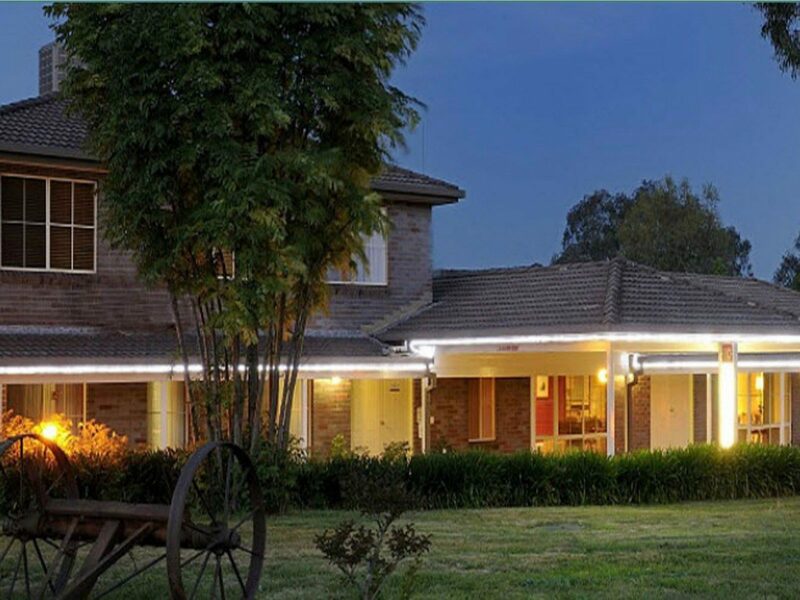 Built around a stunning large pool and garden on four acres of picturesque landscaped grounds, and surrounded by mountain views, it enjoys a peaceful and relaxed atmosphere, direct access to the main highway, and close proximity to the town centre. 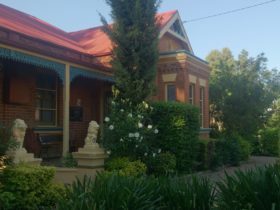 It is the ideal place to stay while in Tumut, whether you are exploring the many natural attractions in the area, on a stopover or a corporate traveller. Delicious meals are served just up the road at the local bars or restaurants. 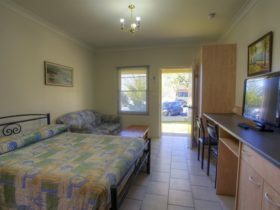 The Tumut Valley Motel is well known for its beautifully furnished and clean spacious rooms, peaceful surroundings, and relaxed atmosphere. 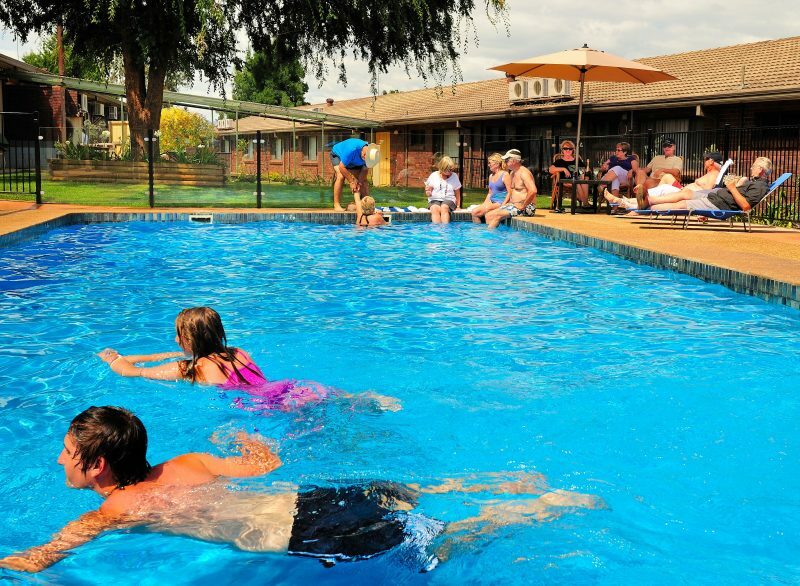 Its extensive grounds can easily accommodate extra parking of boats, trailers or trucks with thirty rooms in total with twelve two-bedroom units are available for family’s, groups or Tradesman teams, they also cater for bus tour groups. Spacious one bedroom suite with choice of king or queen size bed and two person spa. 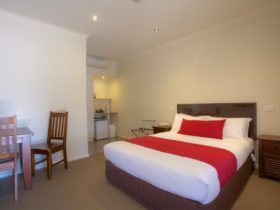 All rooms have split system air-conditioning and are well equipped with all necessities including free wireless broadband and digital large screen high definition television. Parking space outside units is spacious with extra room for large vehicles. Spacious two bedroom family unit with two double beds and two single beds. 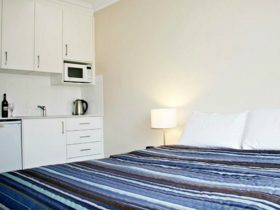 The unit is fully self-contained with all linen and cooking facilities provided. All rooms have reverse cycle air-conditioning and are well equipped with all necessities including free wireless internet and digital high definition television. 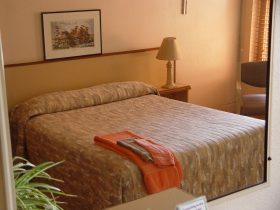 Very spacious room which contains a queen bed and king single bed. The room also has table and chairs, sofa, bar refrigerator, en suite bathroom, reverse cycle air-conditioning and all other necessities including free wireless internet and digital high definition television. Prices start from twin rooms to two bedroom units, all rates include complimentary continental breakfast. Pet friendly but an additional cleaning fee of AUD30 per stay applies.